Location, location, location. Great home for young family. Dead end street. Premium rare cul de sac lot in highly desirable Kierland. 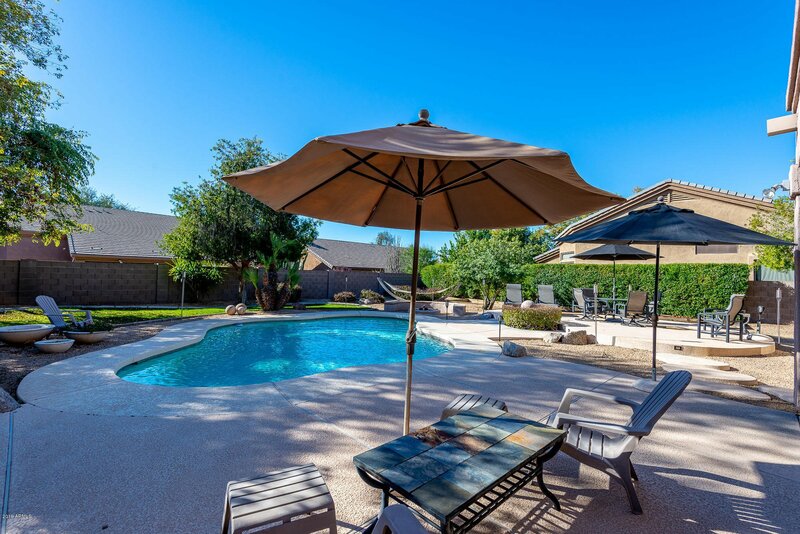 Walking distance to park, dining and entertainment. North /South exposure. Grand entrance flanked with an elegant circular staircase and open spacious foyer, Living & dining rooms. 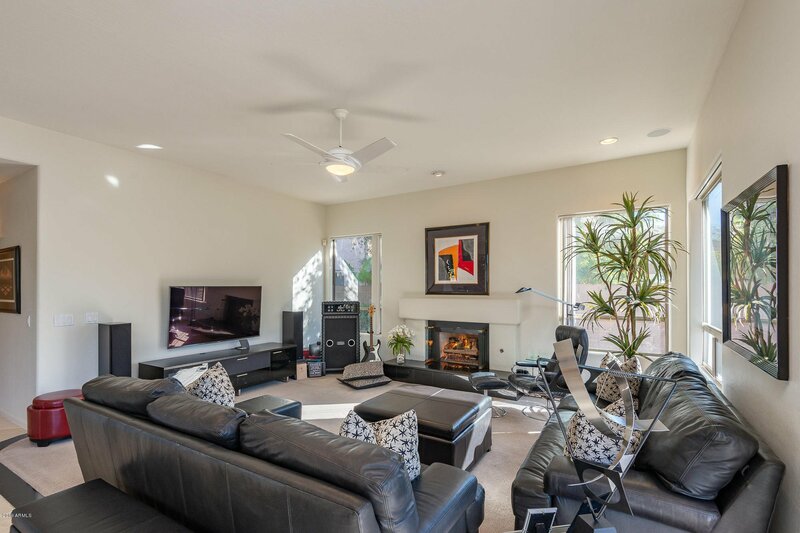 Service wet bar, Spacious family room with fireplace open to island kitchen, Black granite surfaces and backsplash, maple cabinets, sub zero, Bosc dw, convection oven & microwave, gas cooktop. 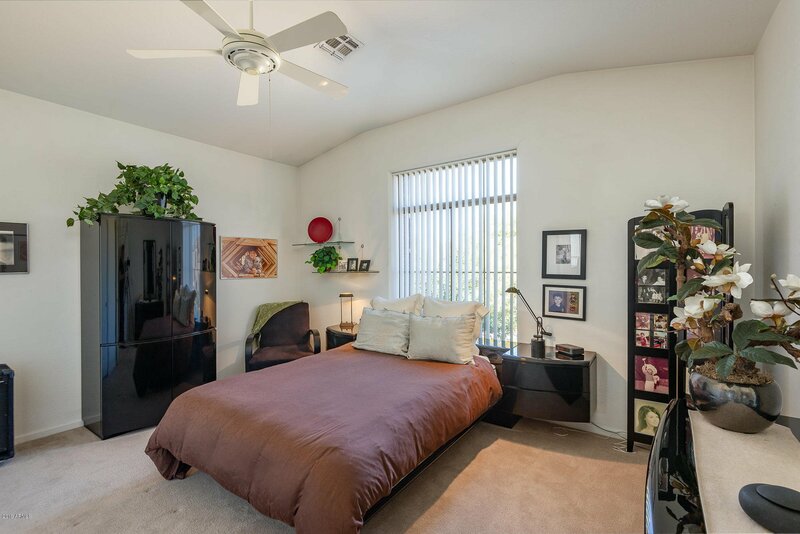 4 large bedrooms upstairs with large closets and generous storage. 5th bedroom downstairs converted to flex space-closet can be added. 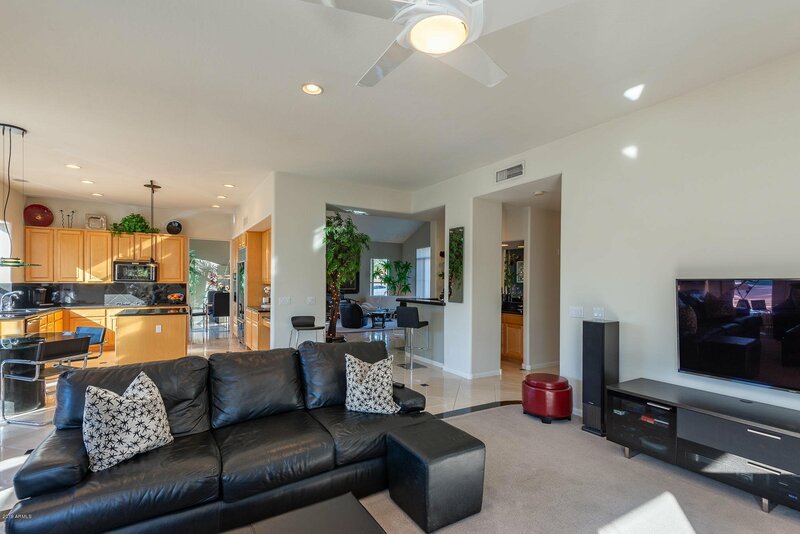 Meticulously maintained by original owners surround sound family room, direct wire for stereo throughout.Quality finishes include polished limestone floors, Marble and granite designer lighting and accents, water softener, security system. Beautiful landscaping with pool and grassy play area. Kierland parks just steps away. Kierland and Scottsdale Quarter within minutes. Fantastic community. 10x master bath mirror does not convey.